Expert bathroom remodeling advice | The Basic Bathroom Co. If you are considering renovating your bathroom, take this opportunity to consult with Remodel-it Ralph, an expert design and installation specialist from TheBasicCompanies.com, for insight into planning your project. We have provided hundreds of homeowners throughout New Jersey and eastern Pennsylvania with a satisfying bathroom installation experience. Our experts are available to share the expertise and knowledge we’ve gained with you. To submit a question, complete the short form on the right side of this page and click Submit. One of our bathroom design/installation experts will respond to your question shortly. 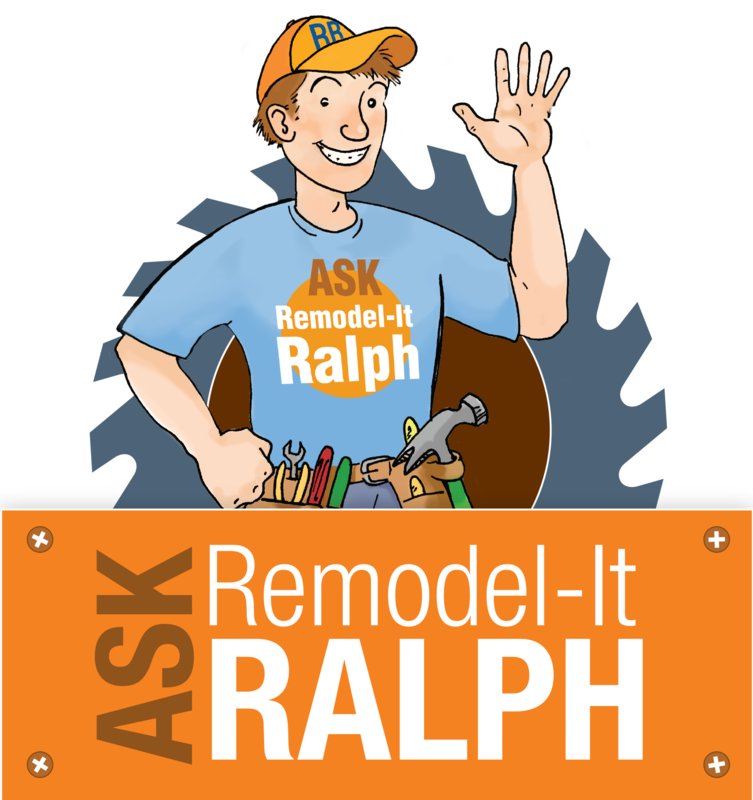 Or, read below to view responses from Remodel-it Ralph to frequently asked bathroom remodeling questions. Question: Hi! I would like to ask if it is possible to convert our half bath into full bath? Could you send me estimated costing? Thanks! Response: Thank you for your submission. It is possible to convert a half bathroom into a full bathroom. The ability to do this type of conversion and the resulting layout/design is dependent on the amenities/fixtures you would like to include, options for expanding the existing bathroom into adjacent areas, and the ability to run necessary plumbing and electric. Question: Can you tell me specifically what is not included in the basic bathroom remodel? Trying to factor in additional costs above the quoted amount. Thanks! Response: Thank you for your submission. Our basic bathroom remodeling package for $4,499 includes removal of the existing bathtub/shower, toilet, surface mounted light fixtures, vanity, countertop, faucets, flooring, mirror/medicine cabinet, shower walls to studs, baseboard trim, and shower doors. Not included in this package, but available at an additional cost, are installation of homeowner provided sheetrock (including tape and spackle), a new sub-floor, a bathtub/shower base, fixtures, bathroom accessories, and painting. We provide the cement board walls for your tub/shower as well as all materials necessary for the installation of your supplied items. Response: Thank you for your submission. Our basic bathroom remodeling package for $4,499 includes removal and disposal of the existing bathtub/shower, toilet, surface mounted light fixtures, vanity, countertop, faucets, flooring, mirror/medicine cabinet, shower walls to studs, baseboard trim, and shower doors. 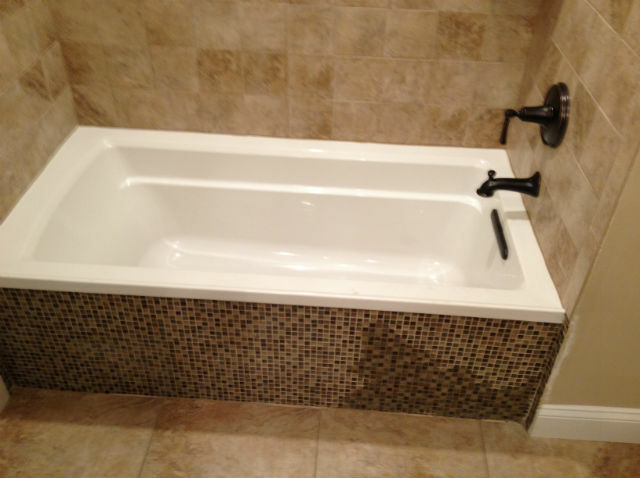 Upon completion of demolition and inspection, we will install your supplied items - a bathtub/shower base, toilet, faucets, shower/bathtub wall tile, shower doors, mirror/medicine cabinet, vanity, countertop, sink, flooring, baseboard trim, and towel rack/bathroom accessories - and, We provide the durarock walls for your tub/shower as well as all materials necessary for the installation of your supplied items. Question: I want to replace the 1991 builder grade built in single vanity. It is outdated too short and the doors sag. My question is it goes from wall to wall and is 60 inches wide the toilet and shower are connected by a door. A lot of the 60 inch vanities have tops that are 61 inches wide what is your suggestion on what I should consider to make the space to work optimally? Response: Thank you for your submission. The 61 inch countertops that you are looking at are most likely prefabricated. These pre-made countertops allow for the standard half-to-one inch overhang on the sides of the vanity. It is possible to order a custom countertop for your bathroom vanity that accommodates the space you are renovating. You would need to contact a local materials vendor with the measurements and material requirements to understand available options. Response: Thank you for your submission. We do offer financing options for our basement finishing service. Please contact us at 877-777-8769 to discuss options and schedule a free in-home consultation. Question: Do you provide financing? Response: Thank you for your submission. We do not offer financing options for our bathrooms service, but it may be possible for you to obtain financing through a local bank. Please contact us at 877-777-8769 should you have questions. Question: How soon are your contractors available? In other words, is there a long waiting time before I can have a bathroom update started? Response: Thank you for your submission. We attempt to schedule each customers bathroom remodeling project to begin on the earliest possible date, however project start dates are dependent upon (1) design acceptance by the homeowner, (2) approval of plans by the town inspectors, and the availability of materials for the project - all of which impact the project start date. Response: Thank you for your submission. For each potential bathroom remodeling project, a design team consultant will come to your home to review your space, discuss options, and present material samples for you to review. For the installation of your bathroom, we typically require 5-8 working days, however, that does not include time required for township inspections. The lead time for starting your bathroom remodel depends on the time required by your township to approve permits and time taken for purchasing and receiving the materials selected for the bathroom renovation. Question: What exactly do you provide in your basic remodel of a half bath. Do you gut the room, remove existing floor and lay down Hardy board before tiling? Response: Thank you for your submission. The half bathroom basic remodeling package includes removal of the existing vanity and flooring as well as the toilet, surface mounted light fixtures, countertop, faucets, flooring, medicine cabinet or mirror, and baseboard trim. We reinstall these items as part of the package as well. The homeowner would be responsible for providing all of the materials for installation. At an additional cost, we will supply all of the materials required to complete your project. Question: Do you cover Hillsborough? I am looking to remodel my master bath. Response: Thank you for your submission. Yes, our service area for bathroom remodeling, as well as all other services we offer, includes Hillsborough, New Jersey. We serve all of New Jersey and Bucks and Montgomery counties in Pennsylvania. A representative will contact you shortly to schedule your free, in-home consultation with a design team expert. Question: Do I understand correctly - for the $4499 for the 5 x 8 bath - you rip everything out - I have to but replacements for everything and you put them back in? Correct? Response: Thank you for your submission. Our full bathroom remodeling package for $4,499 includes removal of all existing fixtures and materials - bathtub/shower base, shower doors, shower walls to studs, vanity, countertop and sink, faucets, toilet, flooring, surface mounted light fixtures, medicine cabinet or mirror, and baseboard trim. We reinstall these items as part of the package as well. The homeowner would be responsible for supplying all of the materials for installation. Our $9,999 package includes removing/installing all of the items listed above, as well as providing all of the materials required to complete your project. Question: So based on your ad, the $4500 price from what I read online does not include tub, vanity, flooring, etc. This is basically the labor and tear down costs. Is that correct? Response: Thank you for your submission. The full bathroom remodeling package for $4,499 includes removal of all of the items you noted below — bathtub/shower base, vanity and flooring — as well as the toilet, surface mounted light fixtures, countertop, faucets, flooring, medicine cabinet or mirror, shower walls to studs, baseboard trim, and shower doors. We reinstall these items as part of the package as well. The homeowner would be responsible for providing all of the materials for installation. Our $9,999 package includes removing/installing all of the items listed above, as well as providing all of the materials required to complete your project. Response: Thank you for your submission. When replacing the sink vanity in your bathroom, if you prefer not to purchase the complete vanity and vessel sink set, which includes the granite with the precut hole, you will need to do the following: after you purchase the vessel sink, you will need to purchase a slab of granite and have the hole fabricated to accommodate the vessel sink. We believe it would be less cumbersome to purchase the set, and it may even be more expensive to purchase the vanity and granite top separately, depending on the which option you select. Response: Thank you for your submission. For resale, the design appeal of a master bathroom will vary based individual taste. Popular master bathroom design currently includes a tile shower, tile or granite curb, and frameless shower glass. However, trends change, and preferences differ based on the individual. Unless you are planning a move in the near future, we suggest that you design your bathroom based on personal preference. Question: I am considering remodeling my bathroom, but need to work within a budget. Can you tell me how I can maximize my budget? Response: Leave your fixtures in the same location. This way you will avoid the costly expense of having to have a plumber relocate existing water lines and drain pipes. You will then be able to maximize your budget towards your cabinet, countertop, tile, and fixtures.